This is something that is oh-so-easy to put together and you only need very few, easily available ingredients. If you’d like to enjoy this with a wine, choose white wines that are lean, crisp, and vibrantly acidic. Higher acid wines pair well with tomatoes’ acidity. Try avoiding wines with lower acidity or heavy oak aging. Look for Sancerre, Soave Classico, Falanghina, or Sauvignon Blanc. 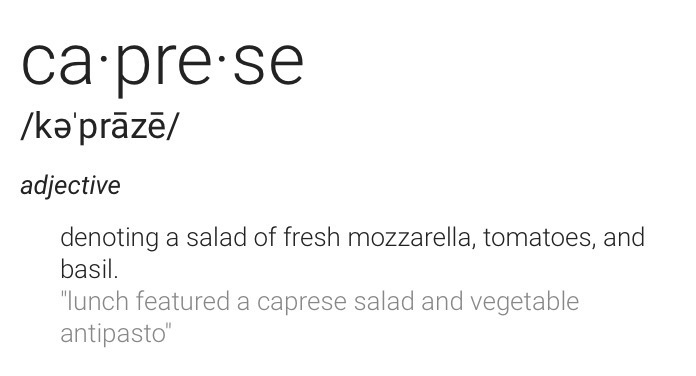 Caprese is basically mozzarella, tomatoes and basil, and I love this especially when doused liberally in balsamic vinegar. 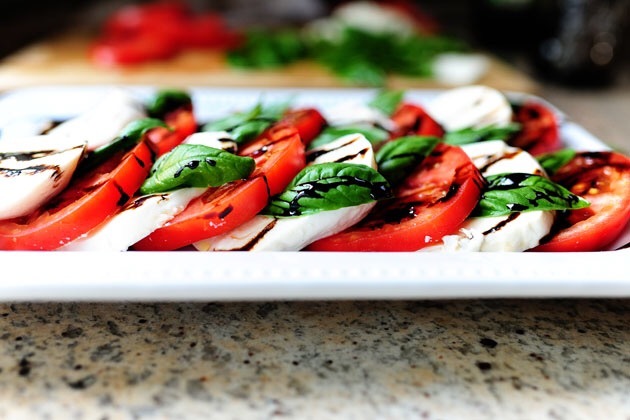 Traditionally, caprese is usually served as shown in the image below by The Pioneer Woman. I gave it a bit of a twist and served it on skewers. To ensure the wooden skewers are smooth when skewering your ingredients, I would advise you soak them in some water first. 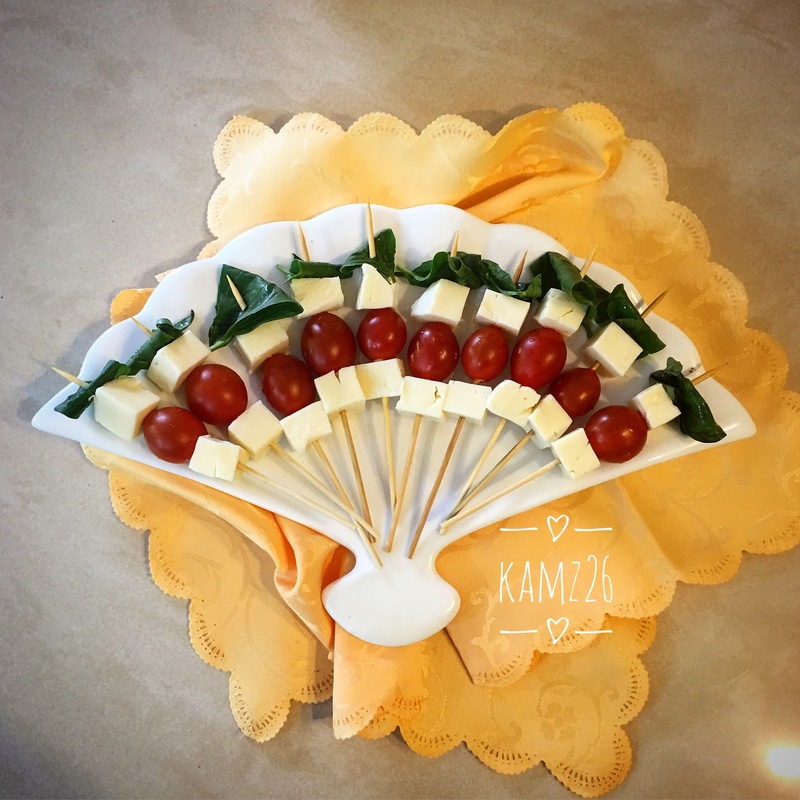 Cut the mozzarella into bite sized cubes, thread one through the skewer, then slide down a baby tomato, more mozzarella, then top it with a folded basil leaf. These can be made ahead and refrigerated with cling-film over them so that other smells from the refrigerator don’t permeate into the cheese. Liberally douse with balsamic vinegar and virgin pressed olive oil and enjoy. Voila! 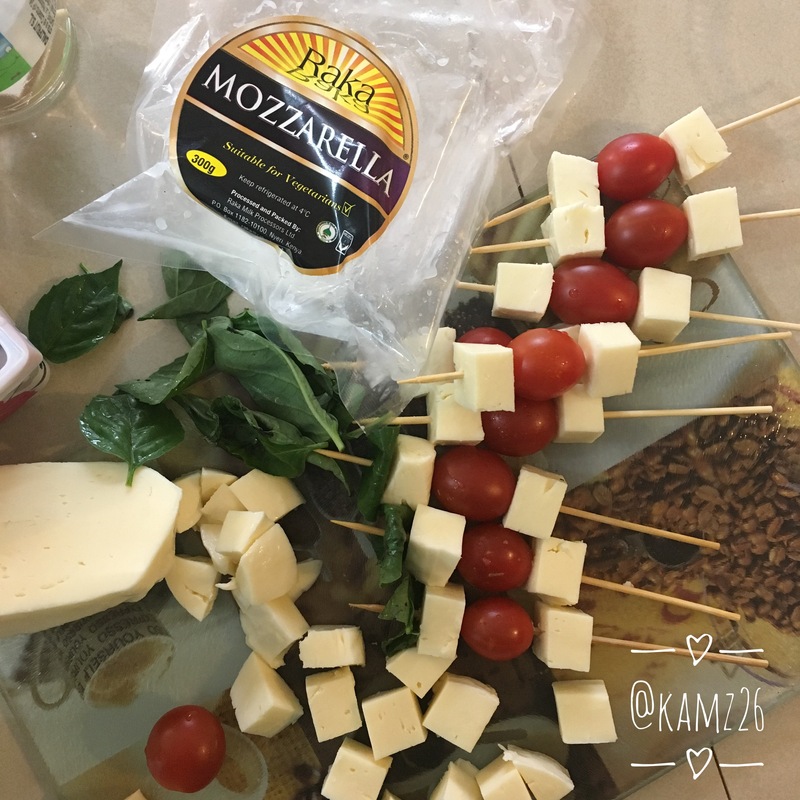 Caprese with a twist!